Radians 430-EHP Black and the 430-EHP4U Camo are electronic sound amplification earmuffs. One independent microphone picks up and amplifies low sound level noises. They have a compact folding feature for easy storage. When sound levels exceed 85dB, the electronic circuit automatically protects at NRR 27. 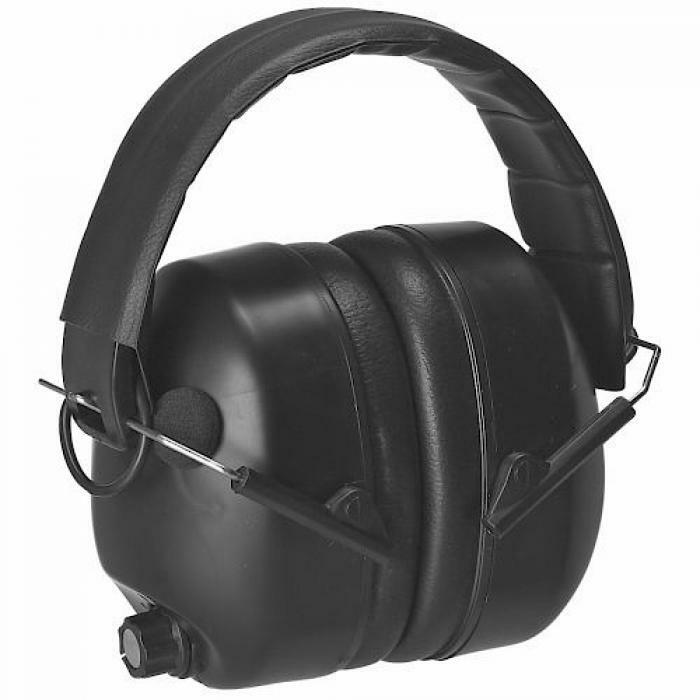 These muffs also amplifies sound while they protect hearing. They also feature an on/off volume control, padded headband and a battery life of about 200 hours.